This is soo good for when you are out and about the whole day! I use this item for my baby’s milk powder and risk biscuits it’s really helpful the container because it’s all in one with different compartments !!!! 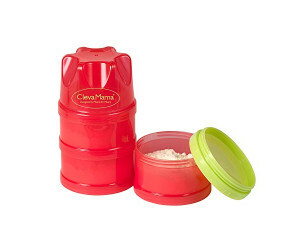 This makes my life easier to transport my baby’s formula powder! It’s so easy to clean, and the perfect size to easily fit in his bag. Love it! 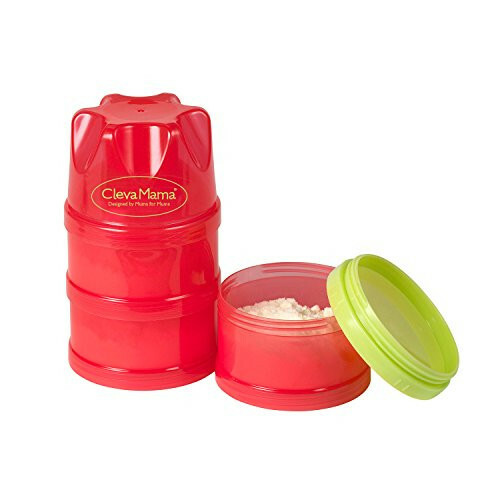 Clevamama Travel Container: Travel is so much easier with this stackable formula and food container. Simply throw the portions with food or formula into your changing bag and you are ready to go. This convenient, three portion container has an easy-pour spout and comes with an extra lid for single portions. Ideal to use with formula, cereals or finger foods.